You may not be aware that many construction materials can be reused and recycled after remodeling your home. Broken concrete, asphalt, wood, drywall, brick, metal, glass, and other materials are all elements that are usually destined for landfills. However, recycling them eases the strain on local landfills and reduces greenhouse gas emissions as well. 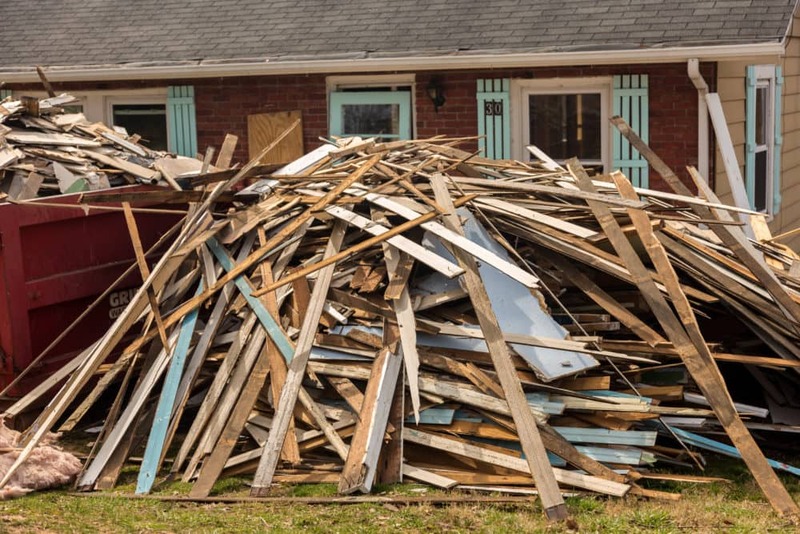 Most cities have different methods and organizations for disposing of demolition waste. Our professionals at Royal Home Improvement could help you think of ways your old building materials could be reused, recycled, donated, or disposed of in an environmentally-conscious way. It’s always good to know what can and can’t be salvaged. The U.S. Green Building Council always recommends trying to salvage or reuse first, then turn to recycling. Habitat for Humanity and Craigslist are two places you can donate or find used building materials. If you’re considering a home renovation, our home improvement specialists would love to help! Whether it be new window installation, siding update, roofing replacement, or a gutter overhaul, this guide will come in handy to help you reduce, reuse, and recycle in order to limit excess material waste during construction.